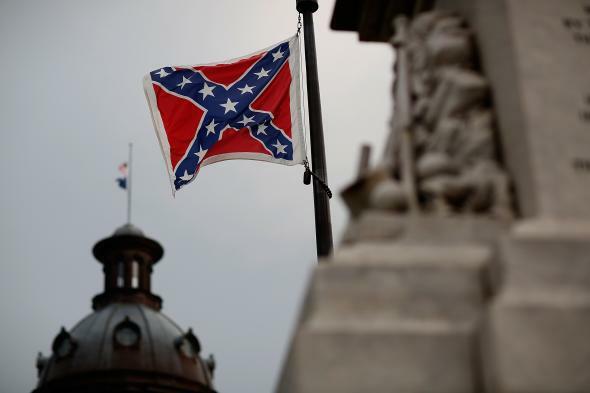 The Confederate flag flies on the Capitol grounds one day after South Carolina Gov. Nikki Haley announced that she will call for the Confederate flag to be removed on June 23, 2015 in Columbia, South Carolina. Bree Newsome is what courage and bravery looks like.